'Aventure.' Little black lace dress. 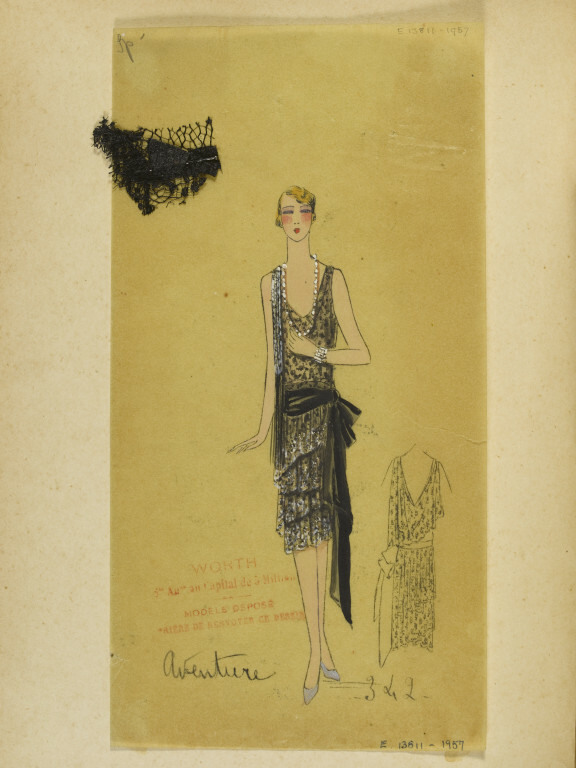 One of 117 dress designs for evening gowns and dresses for Summer 1928 bound in a volume. Jean-Charles Worth. 'Aventure.' Little black lace dress. 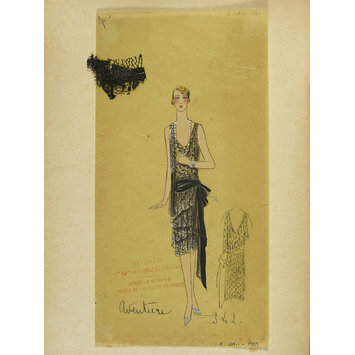 One of 117 designs for evening gowns and dresses for Summer 1928. many with attached fabric swatches.